Watch this video and learn how to determine the best skateboard size to fit your needs. The guys from Braille Skateboards will answer all your questions on board sizes. It’s all about preference and what works for YOU! You’ve seen the videos we posted by Aaron Kyro such as the best skate tricks for beginners, skateboarding made simple, and 10 things every beginner should know how to do well. We have all heard the phrase “fake it till you make it” and sometimes it is completely necessary to use. No one wants to look like a beginner at the skate park or in front of their friends, so watch this video if you want to learn how to not look like a complete beginner…Even if you really are ;). Whether you are an established artist, a beginner, or just a creative person, you will likely love the idea of getting your creations out there. Every artist enjoys sharing their work, and what better way to do it than cruising around on it? Enter: skateboard art. 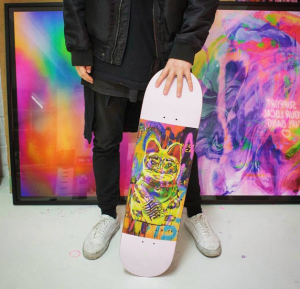 At Whatever Skateboards, you can take any of your art and put it on a skateboard or longboard deck. Not only will you get to ride around on your very own creation, you’ll get to show off your skills both on your board and creatively. The process is quick, fun, and easy. First, create your design. Draw, paint, or create a masterpiece of the computer. Already have a favorite work of art? Even better! Once you’ve picked out the winner, you’re ready to upload it to our online customizer. To do this, simply scan your hand-drawn design and transfer it to your computer or convert your graphic design to a jpg. Then go to our site, select the board you’d like, click “create your own”. Our decks come in a variety of different sizes, so whatever your preference, you can customize it. This will take you to our customizer. Once you get to step two you will have the option to upload your own photo. From there you can play around with sizing and placement, and even add other graphics or text. There are no rules when it comes to designing your own skateboard so have fun with it and go crazy! Our decks come in a variety of different sizes, so whatever your preference, you can customize it. Worried about scratching up your art? 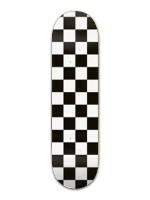 You also have the option to create custom grip tape in addition to custom decks. 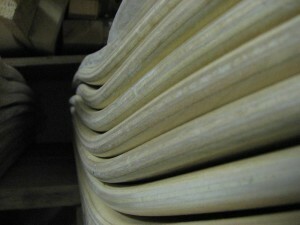 That way while you shred your design is still visible and if kept in good shape. The toughest part will be deciding which design to use. Everything else is a piece of cake. And who doesn’t love cake? Longboards are awesome for getting you where you need to go as well as riding for sport. Any longboard is good for cruising around town, and most are perfect for downhill and distance riding as well. If you are looking for a custom longboard from Whatever Skateboards we have plenty of great options from classic old school pintail longboards to modern downhill symmetrical top mounts and drop throughs and every type of cruiser to choose from. Experience the speed and thrill of a longboard on your own custom creation!  Choose from hundreds of different graphics or upload your own into our customizer to create your perfect design. As if cruising down the street on a brand new board isn’t cool enough, imagine cruising on your very own creation. Having a custom longboard is the perfect way to not only ride in style, but also to attract attention to your riding skills. Post a photo of your fresh new custom design to your social media and draw in even more attention and compliments. One of our personal favorite type of custom longboard is a patterned deck. 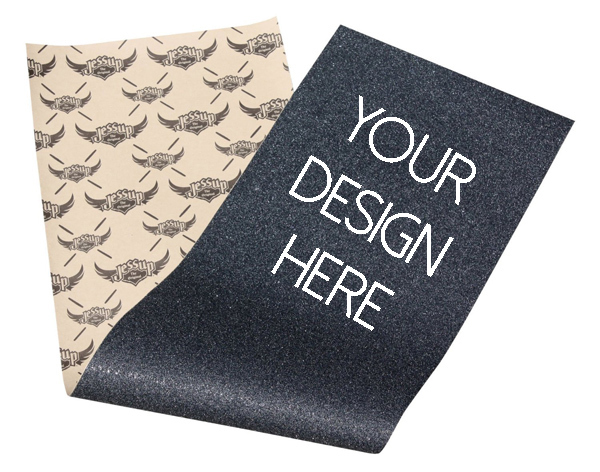 With our online customizer you can choose from a variety of cool patterns. Whether your style is classic, bold, tropical, or eclectic, we can guarantee you’ll find pattern that you will dig on a custom longboard. If you’re feeling extra creative, you also have the option to upload your own patterns to use on your board. Create a pattern then see it come to life on your very own longboard! In tune with your geometric patterns, crystals, and fractals? Create a crazy design that will blow your mind :-O Spirals, hearts, tiger stripes, leopard print, and polka dots can add some spice any longboard. You can even pattern your name so everyone knows who that is your next clip. Having a custom longboard design you love is part of the creativity behind the perfect cruise. Bulk ordering skateboard decks has become increasingly more common in the skate world and beyond as online retailers grow and become more popular in the market. 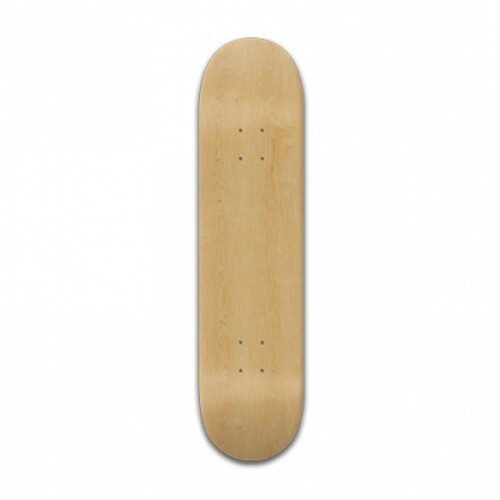 What has been lacking in the market, however, is the ability to order wholesale skateboard decks for your specific needs. Many opportunities call for bulk products, and skateboards are an awesome option for a majority of these opportunities. Whatever Skateboards is your one-stop shop for premium skateboard decks on a wholesale level. Not only do you have the ability to customize your own personal deck, with Whatever you can easily design for bulk purposes. Whether you are looking to order decks for your team, company, or promotional events, we’ve got you covered. Looking to bump up your company culture? Make your team feel appreciated with skateboard decks personal to them. Get your entire company stoked by offering decks as incentives for hitting target sales and quarterly goals. Hosting an event? Skateboards make great promotional items. Use them as freebies, prizes, raffle items, and more! Everyone loves promos, and a skateboard deck with your logo or message printed on it is the perfect way to spread your purpose while providing a cool product. When placing an order for wholesale skateboards, you want to ensure that the quality and aesthetics of the decks will live up to your expectations. Here at Whatever, we can guarantee not only top-quality boards, but fantastic customer service and a fun, user-friendly experience as well. To order your skateboard decks wholesale, simply log on to our site and create your design. Once you are finished, send us an email at contact@whateverskateboards.com with your completed design and we will work with you personally to complete your wholesale order. Skateboarding is a lifestyle. It has transcended the concrete bowls into its own culture with fashion, entertainment, and super stars. A lot of inspiration as risen out of the world of skateboarding, and we can learn some things from the big skate stars that have helped skateboarding evolve over the years. Here are some inspirational skateboard quotes to feed your need to skate, and to help you get started on creating a custom skateboard with your own skateboarding quotes! Here is a collection of some memorable skateboarding quotes from some skaters. So when designing your custom skateboard, there are a few things to keep in mind. When you design the board, always keep in mind the trucks on the bottom side of the board. The trucks will be a part of the design once it is installed, unless this is a board that will hang on your wall. So… if you are putting a skateboarding quotes on the board, make sure it is on either sides of the trucks or in-between the four indicated dots on the template. Or else, you may get a board that looks funked up. You could always put a long skateboard quote on the board, but sometimes a shorter one will do. Shorter skateboard quotes are easier to incorporate in to the design when creating a custom skateboard. With less words, you can play with the text size and placement of the text. This makes it easier to add style to your design and helps with creating a bold impact. Here are some short skateboarding quotes that are good for this type of custom skateboard design. “Skate or Die”, “Keep on Rolling”, “Go Skate Day”. New on WhateverSkateboards.com – BLOCK Risers for Your Custom Skateboard! All the New BLOCK Risers Are Finally Here! 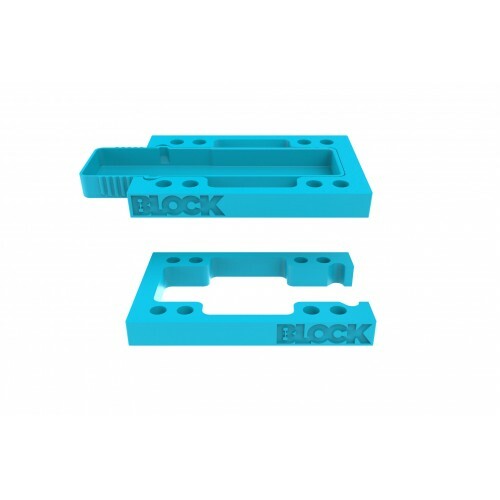 We are excited to tell you that we have added new BLOCK Risers to our site! BLOCK Risers has used innovative skateboard riser designs to create a new skateboard riser with multiple functional “blocks” that can be swapped out. These risers are fresh enough for any skateboard with 5 colorful colorways and a signature design style. BLOCK Risers are a great edition to any custom skateboard, and they work on longboards and any type of reverse kingpin or drop through trucks. You can even top mount BLOCK Risers for use as a push plate or for filming from angles above the board. BLOCK Risers are currently the most versatile skateboard risers and longboard risers available. The base unit for BLOCK Risers are the original BettyBOX. The BettyBOX is a tough 3/8″ riser unit made to fit on any truck setup. If you’re looking for light, durable skateboard risers the BettyBOX is designed to minimize the riser weight while still providing a stable rise usable by even professional downhill longboarders. A solid product in its own right, the BettyBOX really shines when used as intended and combined with the rest of the BLOCK Riser setups. Unlike most skateboard risers the entire BLOCK Riser BettyBOX series is also able to be used as longboard risers, even with drop through trucks. With the GoBLOCK, you can add an extra feature to your custom skateboard. The GoBLOCK adds a GoPro camera mount feature to your riser. The design lets you install the camera in a spot that is out of the way from your feet, both when mounted above and below the deck. With vibration restraints and a secure hold, the GoBLOCK will help you capture smooth skateboard footage. Its the most useful skateboard riser we’ve ever seen. 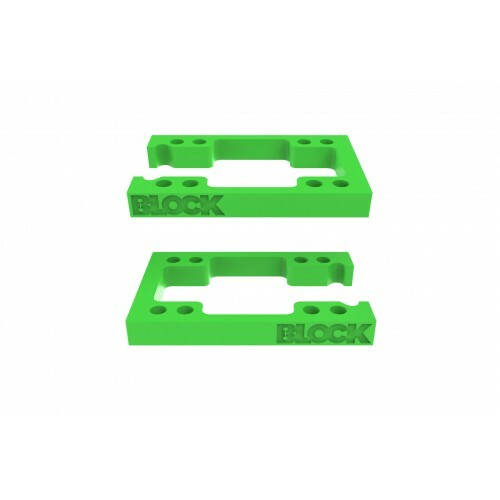 Combine with the soft durometer BLOCK Riser Pads to get good footy even over sidewalk cracks. The GoPro attachment easily locks into the BettyBOX housing. so you can attach and detach your GoPro easily. The StashBLOCK has a secret compartment that slides in and locks into the base BLOCK Risers BettyBOX. The box is perfect for storing keys and small items that you might need to bring along on the ride but don’t want to get mangled. If you hate skating with stuff in your pockets the StashBLOCK locks in securely and doesn’t fall out while you’re out cruising or ripping. Not too big and not too small the StashBLOCK is the perfect size. 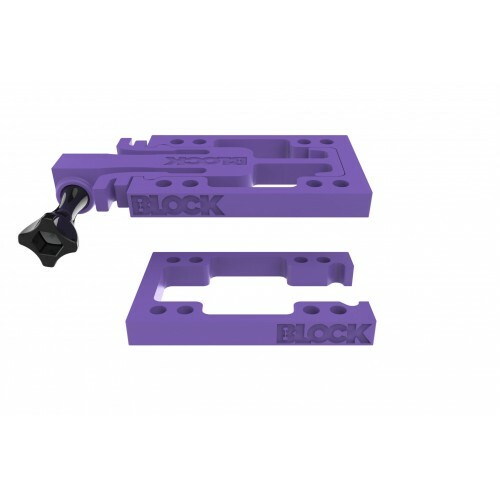 Looking For More BLOCK Riser Blocks? The entire premise behind BLOCK Risers is to keep adding new blocks and there are no signs of stopping. 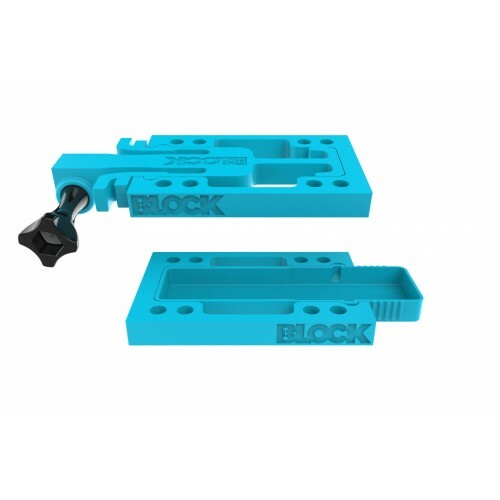 The latest addition from BLOCK Risers includes a GoPro light mount to give you an option of a bottom mounted light or a top mounted light that help you avoid cracks and stack crazy clips at night. Mix and match your BLOCK Risers boxes, both straight and wedge risers, and find your style. It is the details that count, and with these innovative BLOCK Risers, you have the option to upgrade your custom skateboard to get the best ride. They come in 5 bright colors of red, green, blue, purple, and black. I’m Buying a Gift, What’s a Riser? Risers are slab of durable material that is screwed between the skateboard deck and the skateboard trucks. They help the skateboard “rise” up a little and are useful when you want to use larger wheels without getting wheelbite or you have a skateboard that sits too low to the ground. They can also help reduce chatter and rumbling when going at higher speeds or skating on harder wheels. You can also use them to get a change in your pushing and carving. Most risers are flat though BLOCK Risers offers both flat and wedge. Typically skateboard risers are simple pieces of high durometer plastic. The difference with BLOCK Risers is their innovative design that allows you to actually use the riser for multiple purposes other than just additional height. 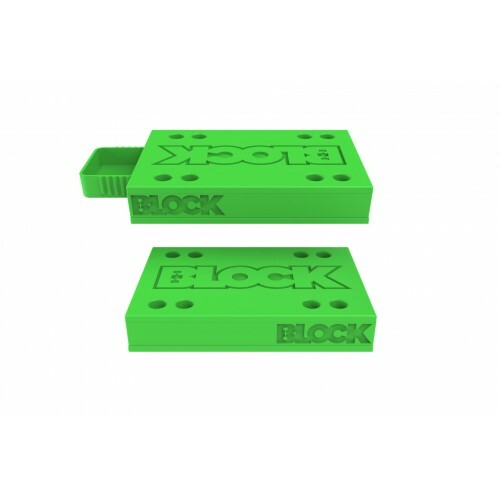 Looking for BLOCK Risers? Click Here!